The measles outbreak that led Washington Governor Jay Inslee to declare a public health emergency last month has worsened, with a dozen more cases of the highly contagious virus confirmed since. The number of measles cases in the state has risen to 44, per the Washington State Department of Health, with 43 confirmed cases and an additional eight suspected cases in Clark County where the outbreak is primarily concentrated. One additional case was confirmed in Multnomah County in Oregon last month. According to Clark County Public Health, 37 of the confirmed cases in Clark County were in individuals who had not received the MMR vaccination—which prevents against measles, mumps, and rubella—though one infected person had gotten one dose rather the recommended two. Thirty-two of the confirmed cases in Clark County are in children 10 years or younger. 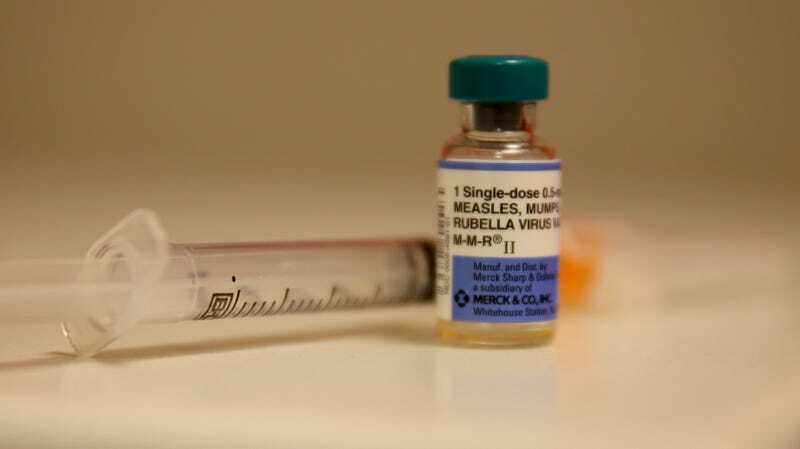 It typically takes seven to 14 days for measles symptoms to show up in people who are infected. According to the Centers for Disease Control and Prevention, early symptoms include red eyes, runny nose, cough, and fever. The rash itself typically surfaces three to five days after an individual contracts measles, and people can be contagious before and after symptoms appear—another reason why this particular outbreak is so serious. After a sick person has coughed or sneezed in an area, the virus can hang around in the air for up to two hours in that space. Both Oregon and Washington have policies in which people can opt out of the vaccine for personal reasons, which has resulted in unusually low immunization rates in the area. But public health officials say that misinformation about vaccinations is partly to blame. “In the 25 years that I’ve known about immunizations and the controversy over it, there are things on the web and there are organizations that say that vaccinations cause autism and that’s why some parents are reluctant to have their children vaccinated,” Clark County Council Chair Eileen Quiring told the Columbian last month. Despite rampant conspiracy theories, research has shown there is no link to support these claims.